Trending at $128.08eBay determines this price through a machine learned model of the product's sale prices within the last 90 days. Part Number: E4010SC021. Fits: 2009-2013 Forester. SPT Front Strut Tower Brace SOA8431130 X1. SPT Strut Tower Brace. 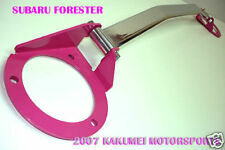 Genuine Subaru Front Strut Tower Brace for your Subaru. Should the item fail during the warranty period, there is no need to send it back unless you want to. Our SSD Performance Strut Tower Brace for all 2019 Subaru Foresters features an all welded heavy gauge steel, one piece design that is the closest thing to welding in a solid brace. We fabricate these right here in the USA. Our SSD Performance Strut Tower Braces for all 2019 Forester models feature an all welded steel, one piece design that is the closest thing to welding in a solid brace. This brace includes all necessary mounting instructions. Part Number(s): 20451SA000. FORESTER 03-08 Rear FORESTER 03-08 Rear. Part/Notes: STABILIZER BAR, REAR. -Life is life and issues arise; people make mistakes. SSD Performance Strut Tower Braces for the 2014 through 2018 Forester 2.5 and models feature an all welded heavy gauge steel, one piece design that is the closest thing to welding in a solid brace. We fabricate these right here in the USA. Donor car: 1997 Subaru Forester GT JDM RHD. Subaru Forester GT JDM RHD Front Tower Strut Bar SF 97-99 OEM This is a used item with normal wear. Front Tower Strut Bar. Radio Code: Unless specified, we do not have the radio code for the stereo/radio. Part Number(s): 20401SC100. FORESTER 09-13 Front; w/turbo IMPREZA 11 Front; (2.5L), STi (turbo) IMPREZA 11 Front; (2.5L), WRX (turbo) IMPREZA 12-14 Front; 2.5L (21mm, turbo). Part/Notes: STABILIZER BAR, FRONT. These will fit all 2018 Subaru Forester XT models. This brace includes all necessary mounting hardware and instructions. NO DRILLING required for installation. Part Number(s): 20410AA050. Part/Notes: STABILIZER BAR, FRont. -Life is life and issues arise; people make mistakes. SUSPENSION TYPE: MacPherson Strut Fwd /. LOCATION: Front. Quick Release Clamp incl. : No - Refer KSB790. PartNumber: KSB590Q. Weight aside, the more the better. Position: Rear. Special orders from MFG's can take longer depending on the manufacturer, availability and etc. Part Number(s): 20451AL000. 18 FORESTER. Part/Notes: STABILIZER BAR, REAR. -Life is life and issues arise; people make mistakes. Weight aside, the more the better. Notes: Strut Tower Bar, Adjustable, Including Quick Release Clamp. Position: Rear. Fits: SUBARU WRX STI 2015 - 2017 ONLY. Fits: SUBARU FORESTER 2009-2013. This bar ties the chassis from left to right at critical stress points (Between the shock/strut towers) to decrease body roll. USDM Spec. Part Number: 697 492 FS. Warranty: unspecified lengthOverview. JDM Genuine Subaru 02 03 04 05 06 Forester SG5 SG9 STi OEM Front Strut Bar Brace. JDM ENGINE IMPORT VA. WARRANTY . CONDITION . PartNumber: KSB550. Weight aside, the more the better. Position: Front. Special orders from MFG's can take longer depending on the manufacturer, availability and etc. Part Number(s): 20451AG05B. FORESTER 09-12 Rear FORESTER 13-14 Rear. Part/Notes: STABILIZER BAR, REAR. -Life is life and issues arise; people make mistakes. The PERRIN Strut Tower Brace has been designed to be a simple and effective solution of improving the handling in your vehicle. Strut Feet Material Machined Aluminum. 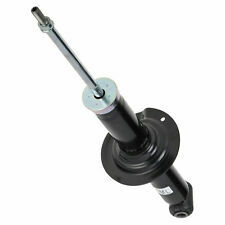 Cusco 697 540 A Shock Tower BraceCusco 697 540 A. Public Forums. Need to make a change?. Disclosure of Information Policy. Your credit card information is encrypted while traveling the Internet. For their protection, we ask that children do not submit information to us without the consent of a parent or guardian. SUBARU FORESTER XT (SJ) 2014-2018. 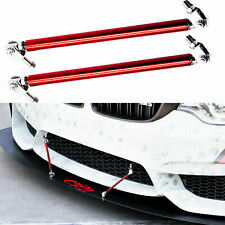 Install Ultra Safety Bar benefit can strengthen car chassis, reduce unwanted noise and increase the protection for your car. A pplication. NOTE: Images used may be generic and not reflect actual product. The most popular of the Cusco bars is the Type OS. The classic design features a tubular aluminum oval shaft with a high polish finish. 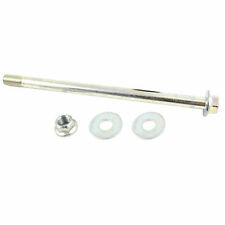 Top Feed STI Fuel rails as pictured. Weight aside, the more the better. Notes: Strut Tower Bar, Adjustable. Position: Front. Part Number(s): 20401SG000. 18 FORESTER. Part/Notes: STABILIZER BAR, FRONT. -Life is life and issues arise; people make mistakes. Pedders SportsRyder Coil Springs are a premium range of lowered coil springs for sports and performance applications. We are here to help you resolve these issues as quickly and easily as possible. Weight aside, the more the better. Notes: Strut Tower Bar, Adjustable, Mid Mount. Position: Front. FORESTER 09-12 Rear FORESTER 13-14 Rear. 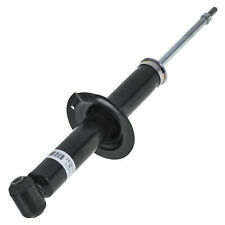 Part/Notes: STABILIZER BAR, REAR, P# 20451SC010. -Life is life and issues arise; people make mistakes. 90 Warranty! Fast and Free Shipping!